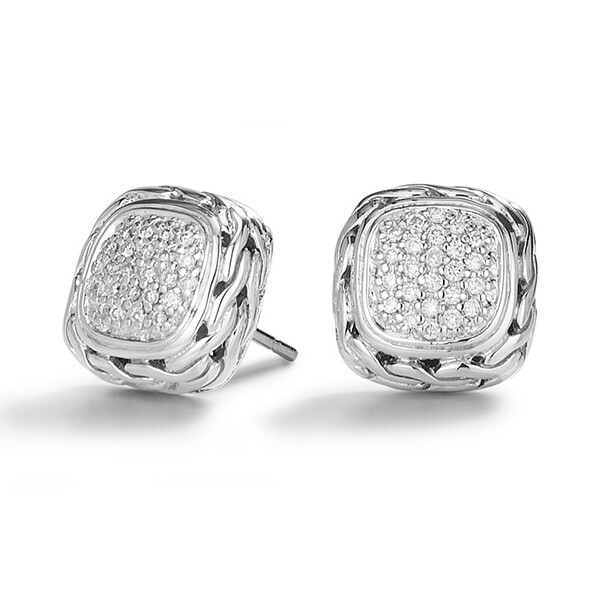 These square studs earrings are from John Hardy's Classic Chain collection. Sterling silver is handcrafted into the classic chain motif and gently cradles an ensemble of sparkling pave diamonds. The sterling silver accentuates the diamonds for maximum gleam! These gorgeous little studs will magnify that cute little black number in the back of your closet or the pair of jeans hanging on the back of the chair!